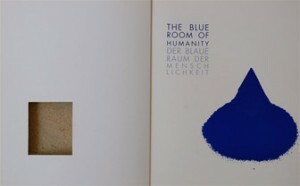 The Austrian-born Australian artist is defined as the consummate humanist. His practice references war, genocide, pain and suffering but his promise is otherwise. Ehmann’s materials include eggs, wax, honey and milk and are universal symbols of sustenance and comfort in a world torn from itself through violence and alienation. “I confess that English is not my language. Art is not my language. 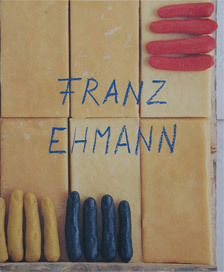 My dearest language is that of food, cooking and life.” Often using himself as an ingredient or a platter on which he displays his art, Ehmann combines the visual and the edible in sculptures, installations, and even recipes. The use of unconventional materials is a hallmark of Franz Ehmann’s work and practice. 1 Eggs, wax and milk, for example, appear in many of his works and installations. All are forms of secretion with high symbolic value. 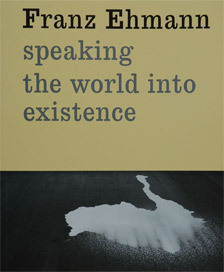 The latter provides a rich field of interpretative potential, not the only route, but a useful and valuable one in coming to terms with the complexity and diversity of Ehmann’s work. Ehmann, however, does not play strategic symbolism, or the sly deferral to cultural histories – the game of the modern mystic – generating or invoking obscure lexicons as a means to an end. It is interesting to note that within contemporary practice, artists have deferred to mysticism in the absence of true conviction, to orchestrate texts for what has been lost or forgotten in a secular industrial world, embracing ritualism in the hope of some salvation of soul and spirit. Rather, Ehmann is in search of a means by which symbol can lead to allegory. How, then, do we establish connections to a cultural world (or worlds) that do not subscribe to historical causality and determinism. Essays by Linda Carroli and Michelle Boulous Walker with translations by Alexandra J. Silvester. Includes images from his exhibition of the same name. Ich liebe es fern zu sehen, im Dunkeln. Ich bin in einem blauen Raum, sein vectorialer Impuls verbinden andere blaue Räume, eine Montage von Bildern, unterbrochen, gewalttätig, sinnlos. Der Fluß der flackernden Bilder stoßen sich ab und ziehen sich an, fallen vom blauen Satelitenhimmel. 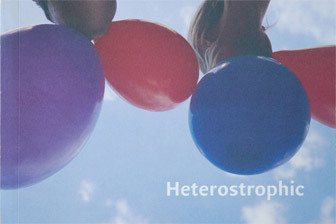 In the second book on Soapbox Gallery, Ihor Holubizky abandons conventions of art writing; rather the text that accompanies this lush collection of images by 20 artists who have shown at Soapbox over the last few years is more of a rumination, drawing from a range of quotes and cultural sources. Franz Ehmann follows on with a poetic investigation on the nature of art. The day is long, it turns and winds into another direction; between now and tomorrow imperceptible and inconceivable positions will become conceivable and visible. We have specially selected each of these artists in order to deliver a convenient, healthy and fresh product to you which is spicy, ready to eat, and easy to identify – making the selection of these contemporary artworks simple and guaranteed to please every time. Adding that Soapbox gallery is a contemporary art crazy situation, adding a monologue as a voiceover for a dialogue, conversing and reversing a commutable position to the point where there is only failure. I had an impulse of the most pressing concern: is art, and specifically in this case installation, useful or useless ( particularly in regard to political and social development/evolution )? This century we’ve experienced a few cultural highs but largely have been entrenched in social troughs. With science and warfare at the forefront of human endeavour the simulacrum of this century is its own destruction. The end of all things ( history, philosophy, poetry, painting, modernity, etc. etc ) has been called for and as yet nothing has happened. As we enter the next millennium and farewell the 20th century, value is becoming a ‘conscious dilemma’ of the postmodern condition. Which of the values of culture and society will we take with us? And what will we leave behind? Speaking plainly, we create value, live, breath, eat and digest value yet never deal with the by-product – ( mediocrity ). If here, I have misread the culture that I¹m living in then surely under current cultural theory I am simply employing a strategy to expose a second rate (mediocre) culture. Fundamentally, they want one thing most of all: that no-body shall do them harm. So they steal a march on everyone and do good to everyone. We have set down our chairs in the middle – that is what their smirking tells us – and as far away from the warriors as from the contented swine. This is mediocrity. 1. No arrogance is intended here, our history is not yet written. Culture high and low, history major and minor form parts of the wreckage left behind which constantly claim our attention for validation and re-evaluation. Utopia/dystopia, forgiveness/hate, memory and forgetting are all fluctuating forms which move in and out of each other in the same manner in which we teach each other. Art is one means of communication and there is no disputing its voice. The critical question is what is communicated and who will actually listen? We are once more on the brink of cultural poverty and its values. Aesthetics may yet prove a valid ground on which to cover cultural mediocrity and its poverty. Terry Eagleton critically affirms in ‘From the polis to postmodernism’ ‘Art itself may thus be an increasingly marginal pursuit, but aesthetics is not. Indeed one might risk the rather exaggerated formulation that aesthetics is born at the moment of art’s effective demise as a political force, flourishes on the corps of its social relevance. Though artistic production itself plays less and less of a significant role in the social order (Marx reminds us that the bourgeoisie have absolutely no time for it), what it is able to bequeath to that order, as it were, is a certain ideological model which may help it out of its mess – the mess which has marginalized pleasure and the body, reified reason, and struck morality entirely empty. The aesthetic offers to reverse this division of labour, to bring these three alienated regions back into touch with one another, but the price it demands for this generosity is high: it offers to interrelate these discourses by effectively swallowing up the other two. Everything should now become aesthetic. Truth, the cognitive, becomes that which satisfies the mind, or what helps us to move around the place rather more conveniently. Morality is converted to a matter of style, pleasure and intuition. How should one live one¹s life properly? By turning oneself into an artefact.’ 2.